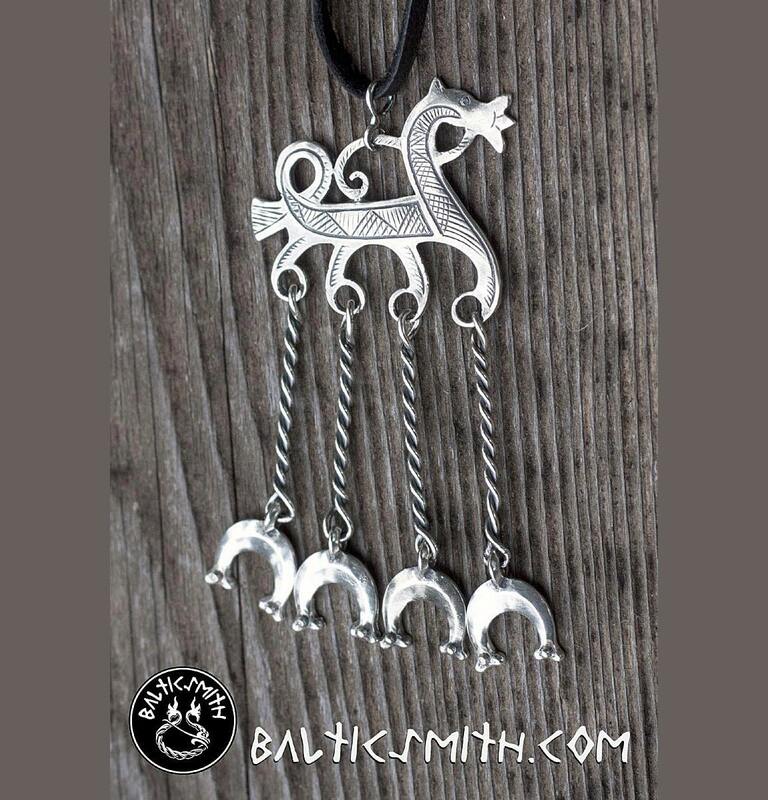 Numerous horse pendants very similar to this reproduction have been found in Viking Age (Late Iron Age) sites in Latvia. They were most characteristic of the Liv people. Livs are a Finno-Ugric rather than a Baltic people. They lived along the coast of Latvia and along major inland waterways such as the Daugava River, which the Vikings used to sail into Russia. There is much similarity between Liv and Viking artifacts because both were contemporaneous seafaring traders and craftspeople on opposite shores of the Baltic Sea. 38 x 76mm (1½ x 3”). See photos for examples of chain, lace, cord and complementary pouch options.